The feud between Max Kellerman and the ​New England Patriots continues to escalate after Patriots' linebacker ​Kyle Van Noy carried around a sign throwing shade at Kellerman during the team's Super Bowl​ parade. 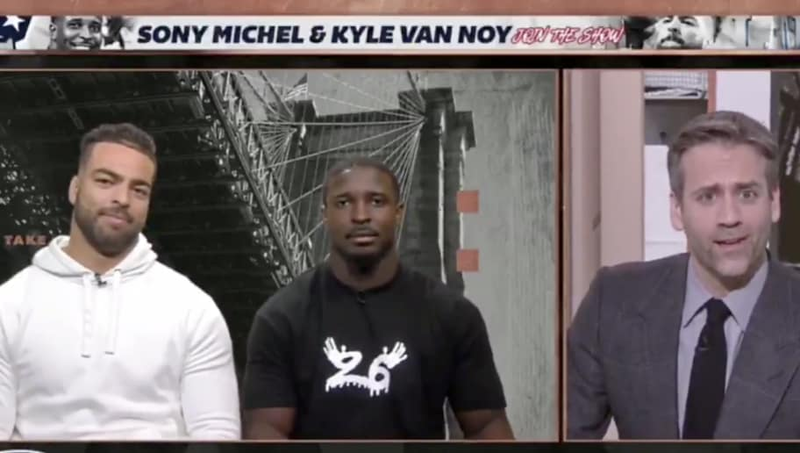 Now, Kellerman and ​Van Noy went face-to-face on "First Take," and the linebacker got the best of the ESPN personality. ​​Kellerman tried to maintain his anti-Patriots' stance, asking Van Noy about his opinion on the controversial AFC Championship Game and the offsides penalty on Dee Ford. Van Noy had a simple response for Kellerman, and there wasn't much arguing to be had after that. "We won the Super Bowl. You can’t say nothing. You can sit here argue with me all you want. At the end of the day, he is the GOAT and we won another Super Bowl," Van Noy said. Clearly these two don't see eye-to-eye, and Van Noy certainly enjoyed the opportunity to shut down Kellerman on his own television show. No matter how they got there, the Patriots were the Super Bowl LIII champions, and Van Noy was not about to let Kellerman discredit the team. Thankfully for Kellerman, it's the NFL offseason so hopefully this conflict can be moved on from and forgotten about.